I saw the eight-time Tony winning musical Once on Broadway this spring, based on one of my favorite movies and featuring music from some of my favorite musicians. It was fantastic, but last Saturday night was even better. 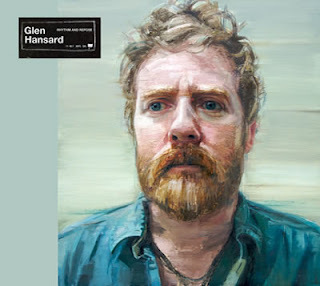 I had the chance to once again experience that music (and more) from one of its original sources - Glen Hansard. He's touring with the release of his first ever solo album, Rhythm and Repose, having previously recorded and toured with the Irish band The Frames and with his Once partner, Marketa Irglova (under the name The Swell Season). He had a ten-piece band with him, including horns and strings, and was obviously having a great time exploring this new side of his music. It's like the band was a new toy, and he was playing around with the different sounds they could make. I like Glen best when it's just him and his guitar, and there was plenty of that, but it was fun to hear him with that full rich sound around him. At this point in his long career, Glen is in fine form, even more passionate and expressive than the other three times I've seen him (with The Swell Season). 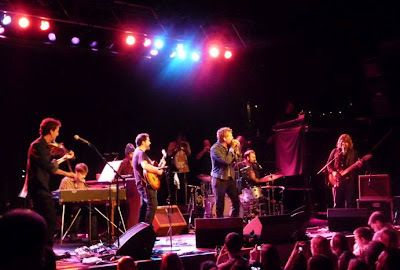 Performing songs from the new solo project, as well as from Once (although not "that song") and The Frames, he gives everything he's got to his band, the audience (or tribe, as he refers to an audience that "gets it"), and the shared experience of music. He loves to ask the audience to sing, and I'm happy to comply with that request. It's your typical Irish celebration of music and togetherness. Another cool thing about Glen is that he often brings lesser-known Irish musicians on tour with him, supporting his fellow countrymen. This time his opening act was The Lost Brothers, and I loved them. They're from Ireland, but they sound like a folky Americana duo (which is my kind of music). Nice harmonies, great songs, ballads and uptempo numbers. Here they are doing a cover of "Moon River" in honor of Andy Williams' recent passing. 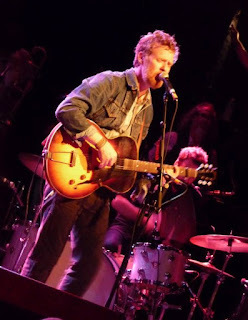 The bottom line is this: if you have a chance to see Glen Hansard live, take it. He's one of those performers where the music takes possession of him, and he can barely contain it as he shares it with the world. Check out his solo album Rhythm and Repose; it's my current favorite. A wide range of songs and sounds but all obviously coming from the same place, it's just an all around brilliant collection of music. Here he is singing "Bird of Sorrow," which starts out quiet and sweet and builds to a passionate cry of "I'm Not Leaving" (he's said that this song is about Ireland). For more videos from this and other concerts, visit the Cherry and Spoon Youtube channel.